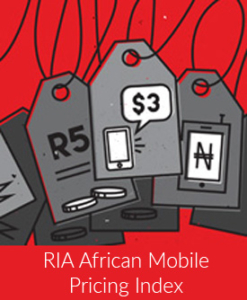 The reactions of various interest groups to a yearlong study by RIA into pre-paid mobile prices across the continent, and South Africa’s relatively poor showing in it, are perhaps not surprising. They nevertheless prompt clarification and hopefully further debate – before the issue of the high price of communications in South is again swept under the carpet. Research ICT Africa Executive Director, Alison Gillwald responds.